July 12, 2012 marked the beginning of a new era for me. 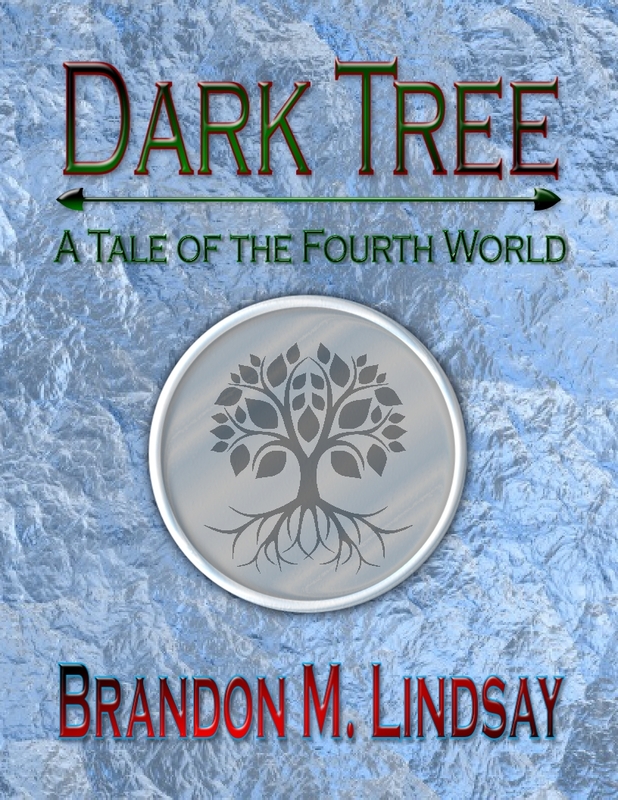 This was the day that Dark Tree: A Tale of the Fourth World went live on Amazon as an ebook. The reason that this is so significant for me is because Dark Tree is the introduction to my epic fantasy series, The Fourth World. It all began many, many years ago (two, to be exact) when I was but a wee lad (aged 26) when I first conceived of a character whose sole purpose was to kill, even though he himself could not die, a weapon of mass destruction that was doomed to live with all the pain and death that he caused for all eternity (although that, of course, is not the end of his story). His name was Bladefray, and he was what I would come to call a Born Sword—the title given to each of the six immortal warriors that lived in what was to become the Fourth World. He was the spark that quickly became a roaring conflagration that has consumed my imagination ever since. At the time, traditionally publishing novels seemed to be the only way to go, so that’s what I began to do: write a novel that I would shop around to various agents and publishers to see which one would bite. It was the tried-and-true method, if ever there was one, and though it was very difficult and very chancy, it was what I was prepared to do. It seemed to me the only legitimate option at the time. I had met some other writers who were at a similar stage in their writing career who were considering self-publishing their works as ebooks, but I scoffed at such folly. Self-publishing? Ebooks? Pshaw! Although I decided to watch the phenomenon with mild interest, I didn’t really think it would amount to much, considering the sad and sordid history of self-publishing. I was convinced that if I was going to be a writer, I would do it the old-fashioned way. Then came claims of publishers misreporting their authors’ royalties. Then Borders closed its doors for good. I started to worry, but also, to wonder. Shortly before those things happened, when I was about 60,000 words into my novel The Born Sword, I went to World Fantasy Convention to peddle another novel that I had been working on for centuries, as well as rub elbows with the people who I had hoped would be my coworkers—the agents, editors, publishers, and authors involved in the fantasy industry. It was there that I bullied a senior editor from a major imprint into dinner with me and some of my peers so that we could finagle our way into his good graces and hopefully interest him in our work. The “interesting him in our work” part didn’t turn out so well, but he did give me some advice that stuck with me, and that was to write short stories. Once you proved you could write those, he said, then I might consider looking at your longer work. Well, if that’s what it took, then by golly, that’s what I would do! The popularity of short stories, especially fantasy stories, seemed to be waning as more and more of the markets that carried them were going the way of Borders. My early years as a reader were shaped by short stories, particular those by Ray Bradbury, so I had long regarded the short story with romanticized awe, and often thought about writing some, even though I believed they would do little to advance my writing career. Armed with my new insider knowledge, I quickly revised this misconception and began to write one in earnest. Since it was to be a springboard for my fantasy novel (though I had since abandoned the previous one and was now focusing on The Born Sword), it seemed natural that the story I was to write be a fantasy as well. And hell, while I’m at it, why not in the same world as The Born Sword (an idea shamelessly pilfered from fantasist Peter Orullian, who released a whole gamut of related material before his debut novel)? If I could find a magazine that wanted to publish it, great; if not, well, maybe I could give that silly little self-publishing thingy a shot. One story became two, and I realized that I had a whole lot more of them in me, screaming to get out. Furthermore, these stories seemed like they would be a good introduction to the increasingly complex metaphysics of the Fourth World, and so it was that I decided to collect them into a book called The Clans: Tales from the Fourth World. It was about that time when I finally realized that publishing wasn’t what it used to be. I had to make a decision: I could place myself in the uncaring hands of a major corporation that expected me to fail and was existing in a bygone era, unwilling to change or adapt; or I could go it alone, without support from the industry, into uncharted territory out of which very few had ever come out alive. Of course I chose the sexier option, and decided to self-publish all the way. It was while I was working on the sixth and final (sort of) story in The Clans when I was struck by an image I had seen of Yggdrasil, the sacred tree of Norse mythology. Now, the Fourth World had a bit in common with Norse mythology already: the purpose of life was to prove oneself ready to battle at the God’s side in the afterlife, and I already had a massive tree that was the source of all human souls. The problem with that last was that the Birthing Tree, as it’s called, was three worlds away from the stories I had been writing, and there seemed no natural way to integrate such a nifty image into the Fourth World. For some reason I can’t fully understand or explain, I had to have that image in my world. It was going to happen. I just had to figure out how. So while the beta edits for the various stories of The Clans started rolling in, I let the image of a giant tree made of smoky glass, its massive branches sheltering a city from the light of the sun, simmer in the black cauldron of my mind. I even threw in some eye of newt for good measure. Finally, after several months of slowly coming to a boil, Dark Tree was ready. And what a potent brew I had concocted. Once I knew what I wanted to do with it, I couldn’t stop the words from pouring out. Dark Tree, at over 13000 words, is a novelette; stories graduate from short story into novelette when they reach about 7500 words. It would normally take me three days of uninterrupted inspiration to write a 7000-word short story. I wrote the bulk of Dark Tree in two days. For me, that was an awful lot of inspiration. I took the time to polish it up, of course, with the help of my beta readers. But the polish was simply that; the story itself was, to me, already immensely satisfying and complete as I had written it. A couple of times, especially with the ending and implications the story has for the series as a whole, I even surprised myself. I couldn’t be happier with the end result, and I am content to send it off into the world. The facts that The Clans is supposed to be an introduction to the world of The Born Sword, and that Dark Tree is in a way another introduction, may cause you to wonder in what order you should be reading these books. After all, The Clans was mostly written before Dark Tree, and The Born Sword mostly written before that. Should they be read in the order that you wrote them, or in the order you published them, or what? I would recommend reading them in the order that they are published, but really you could read them in any order that you want. Each work informs the greater narrative in its own ways, adding its puzzle piece to create the larger picture, but is complete in its own right. You could read The Clans and then The Born Sword, and go back to Dark Tree later (and hopefully have an “A-ha!” moment, when you finally break free of your New Wave comic book prison), or you could read it in a completely different order. The chronology only starts to matter with the main sequence of novels, namely The Born Sword and its sequels. If that sounds convoluted, then let me put it this way: jump in anywhere, so long as you read Novel One before Novel Two, and you should be fine. Which raises the question: what are my plans for the Fourth World? I plan on wrapping the main story in three or four novels and calling it good. No fifty-book series for this guy. I’ve got a whole lot of ideas that I want to write about, and not all of them fit in the Fourth World. I have a clear direction for the series, and as you’ll begin to see once you start reading them, you’ll understand why the series cannot exceed four books. Given that, I have developed an extreme fondness for stories that are novelette-length, and I plan on writing some more of them. Rather than having you wait in between novels, I will release a Fourth World story or a collection of stories as a teaser for what’s to come. I already have some plans, and I’ve already written most of a story from the next collection. May the God of All Worlds bless you and find you worthy to fight at his side in the War beyond Time.